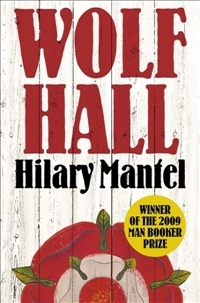 I am late arriving to Hilary Mantel’s fabulous, Booker-winning Wolf Hall, which tells the rise (and rise) of Thomas Cromwell, from the lowly son of a blacksmith to the highest of courtiers to the Tudor King, Henry VIII, drawn against the backdrop of the annulment of Henry’s first marriage to Queen Katherine and the coronation of Anne Boleyn and the schism in the church it creates. I don’t intend to spend time outlining the story; there’s enough of that elsewhere. What I want to muse on is Mantel’s characterisation of Cromwell, the master power-broker. In most novels we find a protagonist who wants something and we follow them as they set about to get it. Their desire is clear to us, and though in the best of stories they might get what they ‘need’ rather than what they ‘want’, their want is outlined from the off. (We get to see their need as the story develops.) What Mantel does in the close-third-person, present-tense re-creation of Cromwell is very interesting. For much of the novel, his desire is hidden, unstated, slippery. After travelling abroad, learning languages, banking, the art of relationships, he finds himself returning toLondon to take up the business of a lawyer. Here he serves the infamous Cardinal Wolsey very well (as well as maintaining his own business affairs), and we see his loyalty and cunning, but, there is no overt desire stated. It is only much later, after Wolsey’s death, when Cromwell is rising up the ranks in Henry’s court (much to the dismay of all the high-born councillors), that he begins to ask for some things. But even then it is more a case of Henry thrusting positions and honours upon him without him asking for them. I shall not indulge More, …or his family, in any illusion that they understand me. How could that be, when my workings are hidden from myself? The construct of a man who acts on instinct rather than pre-planning is reinforced time and time again. What could be a better way of constructing Cromwell’s rise than to do it in this way? It’s brilliant. It seems remiss to just look at Cromwell’s characterisation, for all the characters are so deftly drawn. Wolesy is a marvellous creation, so too Anne and Mary Boleyn. Cromwell works very hard, and as the new positions of trust are added onto all the old ones, he increasingly wants for a day off. Anne Boleyn’s coronation sees him organise everything, even the weather. And then there’s the business of Thomas More and all the recalcitrant papists running aboutEngland. The want of a day off ties in nicely with the book’s end. 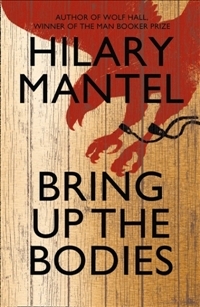 I might have come late to Mantel’s marvellous Tudor world, but I won’t be as tardy when Bring up the Bodies, the sequel to Wolf Hall, is released next month. Hilary Mantel is ‘appearing’ (via video-link) at the Sydney Writers’ Festival, talking about Bring up the Bodies. See here for details. The two-page preface to The History of the Siege of Lisbon (1989) outlines José Saramago’s contention that “history and fiction are constantly overlapping” – something that is quite topical with novels such as Wolf Hall spurring a recent swathe of historical fiction. But this is not a historical novel like Mantel’s Booker Prize winner, but rather a story ‘inserted into history.’ Its fictional siblings therefore include speculative ‘alternate histories’, such as Philip Roth’s The Plot Against America (2004). However, Roth takes a point in US history, (where he has FDR defeated by Charles Lindbergh in the 1940 Presidential election), and goes off on a tangent, writing a totally new history, whereas Saramago alters how a particular historical event occurs and who is involved, but there is no splintering off into some altered path of history which leads to an altered present. The novel is constructed with two story arcs, one of which is historical, and the other in the present. There are the events set in the twelfth century including our protagonist Raimundo Silva’s alternate history of the siege of Lisbon, and there is the life of Raimundo in the twentieth century. It raises questions over how accurate the historical record can be and whether we can ever truly know the emotions or thoughts of characters whose history we interpret many years later. How accurate can we be about History? Saramago won the Nobel Prize in 1998. This is the third book of his I’ve read. The Stone Raft, in which the Iberian peninsula breaks off from Europe and floats around the Atlantic(! ), and The Gospel According to Jesus Christ are the other two I’ve read. The later is also an alternative history in the same vein as the Siege of Lisbon. Both are excellent reads and are highly recommended. In much of Saramago’s work, characters regularly have trouble connecting with others, and his novels regularly feature the theme of urban dislocation. They also regularly feature magic realist elements. 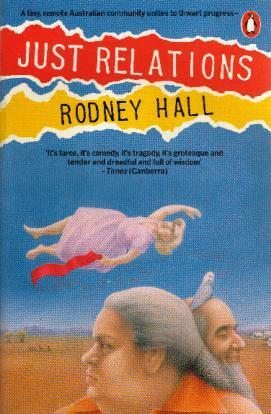 The theme of historical accuracy and the framework of magic realism – right up my street! – so I was looking forward to another fine read from the Nobel Prize winning author. Reading Saramago has its challenges. He only uses commas and periods. There is no other punctuation. So, no question marks, exclamation marks, or dialogue quotation marks. Dialogue is subsumed within the prose, marked only by a commencing capital letter and conversations are strung along with commas being the only separator between characters’ words. His view is that the prose itself should make it clear as to who is speaking and also whether there is a question or exclamation involved. One thus has to concentrate to keep up with things. Close reading is a must. … a traditional Portuguese meal of fried fish and rice with tomato sauce and salad, and with any luck, the tender leaves of a lettuce heart, where, something not many people know, nestles the incomparable freshness of the morning, the dew and mist, which are one and the same, but warrant repetition for the simple pleasure of writing both words and savouring the sound. … It’s lovely writing, with lovely images, but there’s just too much meandering. It is in some way reminiscent of Garcia Marquez’s excellent (and challenging) The Autumn of the Patriarch, (see my review), and provides a stark contrast to the pyrotechnics of a Dave Eggers or Jonathan Safran Foer for example. Yet for all the promise of the story’s idea and the sometimes beautiful writing, for some reason only the modern arc of Raimundo’s life worked well for me. Raimundo is a proof-reader and one day we see him insert a ‘not’ into a historical text entitled The History of the Siege of Lisbon – on purpose! The deliberate mistake is only noticed after the book has been printed, but not before it is distributed. The publisher’s decide to insert an errata notice rather than republish. They also bring in a new woman, Maria Sara, to oversee all of the firm’s proof-readers’ work. Needless to say, the meeting between Raimundo and his new boss is a tense affair! After the meeting, Raimundo’s mind is filled with questions over the brusque nature of the woman. Sometime later, he realises he has feelings for her. Maria tells him that he should write the fictional history of the siege of Lisbon, one in which the crusaders decline to help the Portuguese evict the Moors from the fortified city. After some silent rubbishing of this task, Raimundo finds himself drawn further and further into the lives of both Moor and Christian. The fact that he himself lives in the fortified section of the city’s walls adds further intrigue – he can see battles and events from the distant past as if they are happening. These historical scenes didn’t really capture my imagination. Sometimes Saramago’s interminably long sentences with all their ‘nods’ and ‘winks’ and witty asides bored me. It was all too ponderous. So we have a wonderful premise for a story, but a structural problem with the dual arcs, one of which lacks bight. It is only when the relationship between Raimundo and Maria Sara takes off that things move along nicely. Here there are some wonderful moments, where an older single man falls in love with a woman fifteen-odd years his junior, who, we learn, liked him from their first meeting. This is one of Saramago’s books that is one the 1,001, Must Read list. I will certainly read other books by him, but just felt part of this novel didn’t work as well as it might have, which is a shame because the theme of the intersection between history and fiction is wonderful, one that is always worth exploring.